When many beginners get started, they mistakenly believe that riding a longboard is the same as riding a skateboard. There are a lot of similarities, but they aren’t exactly the same. Approaching a longboard as “just a different-looking skateboard” won’t give you the best experience. 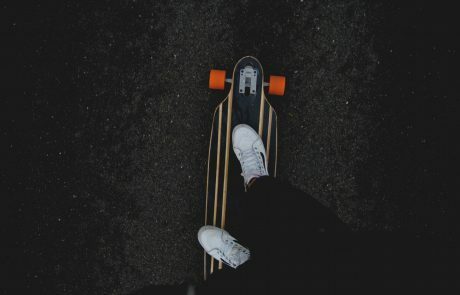 So we put together this beginner’s guide to show you how to longboard, what you need to know about longboards, and what you need to get started. 2 What Kind of Riding Do You Want to Do? Longboard technically are skateboards. 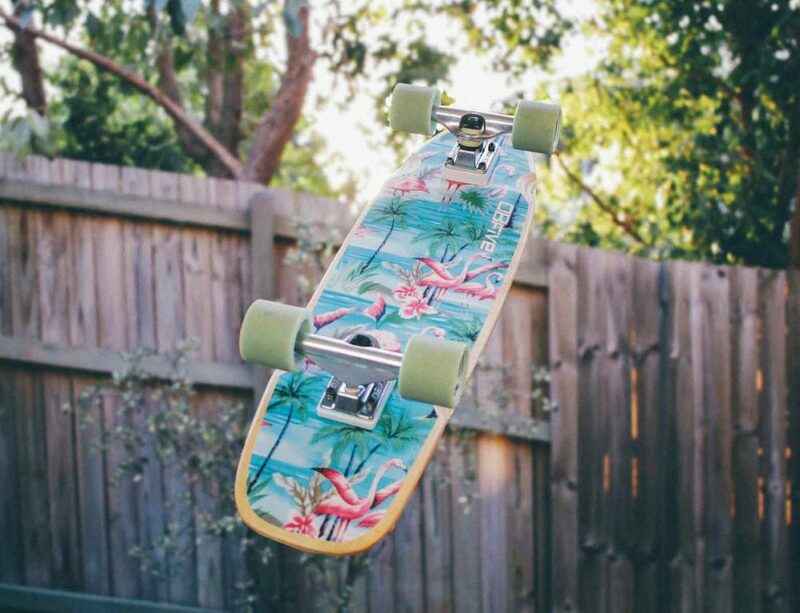 The shorter boards that most people refer to as skateboards are shortboards. But for the sake of using common phrases, we’re going to tell you why longboards are different from what you’d typically all a skateboard. Longboards are, obviously, longer. They tend to run around 42 inches long, but they can be as long as 50 inches, or as short as 34 inches. In comparison, skateboards are generally between 30 and 33 inches long. Longboards aren’t made for tricks, jumps, and kicks. These are cruising boards, meant for carving hills and rolling down long streets. Longboards are not always symmetrical at the head and tail like most skateboards. 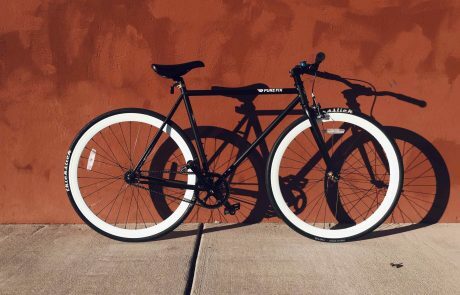 They come in a variety of shapes, which are all designed for different riding styles. With a longboard, it’s more important to think about the primary kind of riding you want to do, whereas with a skateboard, you’ll generally use any old shortboard to perform tricks and hang out at the skate park. What Kind of Riding Do You Want to Do? Because this is such an important part of choosing the right longboard, we thought we’d start here. Typical longboarders want one of three things: they want to get around, they want to do downhill skating, or they want to do some freestyle riding. For each of these purposes, a slightly different longboard is necessary. For getting around, AKA cruising, you’ll just want what’s called a cruiser. These have a pointed nose and a rounded tail. You can also find cruisers called pintails, which have a sharper point on the nose. For downhill skating, which is going to be very fast, you’ll want what’s called a speedboard or a speed deck. Topmounts can also work. These have narrow heads and tails with blunt ends, and can be either symmetrical or not. 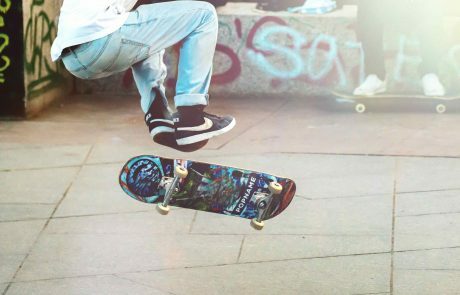 For freestyle riding, in which you want to both downhill skate and show off other skills, a dropdown board, also called a dropthrough board, should be your top choice. These have narrow heads and tails that are symmetrical. Another thing to consider is your wheels. 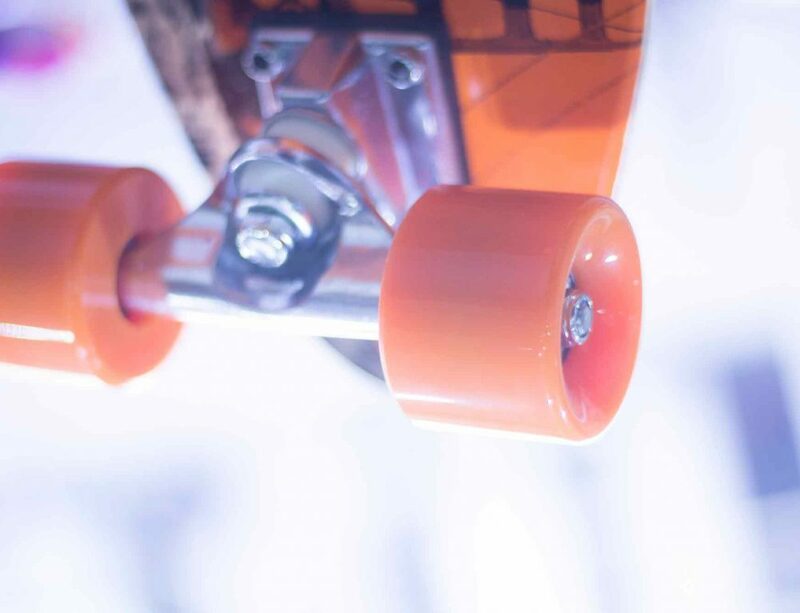 Generally, if the wheel on your longboard has square edges, it’s better for flat surfaces and smooth hills. If the wheel is rounded, it’s better for carving. And if the wheel is beveled, it’s better for areas with a lot of twists and turns. 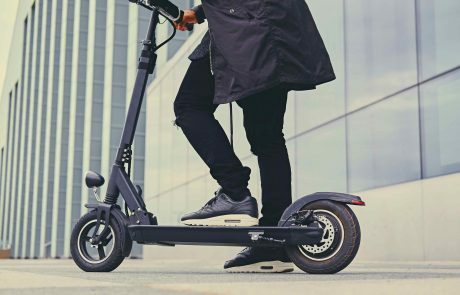 Longboard wheels are not the same as skateboard wheels, so don’t think you’ll be able to substitute your extra shortboard wheels. The first step to learning how to ride a longboard is knowing which is your balancing foot. This is the foot that goes in the front of the board, where you’ll put all your weight as you turn or as you kick with your other foot. If you already skateboard, or do other sports such as snowboard or surf, then you already know what stance feels most comfortable to you. Stick with that one to save yourself some time. But if you don’t do other sports like this, then you’ll need to experiment. For most people, their dominant foot – the one that they tend to walk with first, or step onto a staircase with first – will be their kicking foot, while the other will be the balancing foot. If your left foot is forward, you skate with what’s called a regular stance. This means your right foot will be doing the kicking. If you have your right foot forward, and kick with your left foot, you have what’s called a goofy stance. There’s no correct way to stand, so just go with whatever feels most natural. If you want to gain speed going downhill, point your feet downhill. If you want to bomb a hill, meaning go down a hill very fast, your stance should be a bit wider than usual. Many riders begin with the front foot facing forward while pushing off, and then adjust their stance when the board is moving. 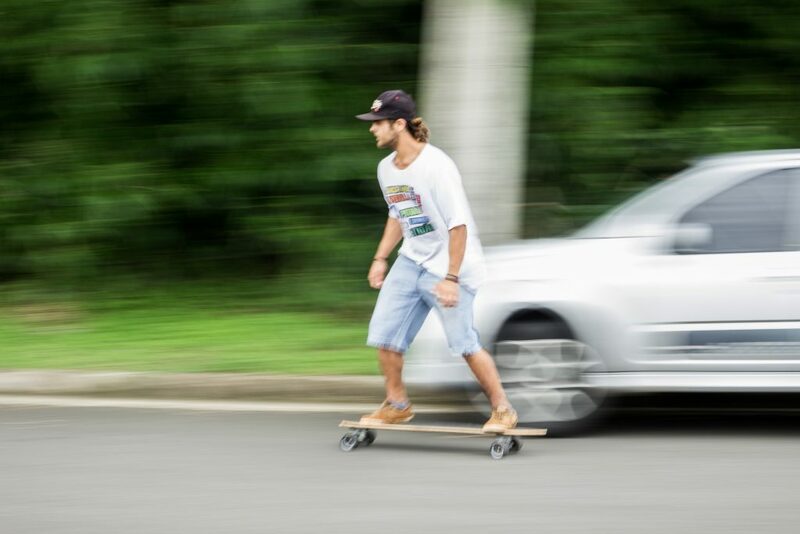 Remember that your arms and knees are also coming into play for balance when you move, so don’t be too worried if you find it hard to balance on a completely still longboard. The first thing that you have to do when riding a longboard is get moving. To do that, you need to learn to push off. Simply gain your balance on your front foot, put your back foot on the ground, and push. You can do this several times, or give it one big push to get going. Some riders push off with their front foot in a technique called “pushing Mongo”, but it’s a good idea to learn to push with your back foot first. Once you’ve begun to get comfortable with starting the motion, try cruising on a slight hill. Let gravity work with you, meaning don’t push so much. Just a good push or two should do it before you can cruise to the bottom. As you get more comfortable, you can work on increasing your speed. The next thing to work on is turning, but before we get there, let’s talk about stopping. You’ll want to get this technique right during your first ride. The most common method that beginners use to stop is footbreaking, which just means dragging your foot on the pavement. Keep the bottom of your foot flat as you drag. Don’t be afraid to bail if you are getting out of control – leaping off and hitting the ground running is much better than a crash. For slight curves, shifting your weight to the side you want to turn towards can be enough. You’ll learn over time how much weight to shift to get a more dramatic curve. To carve, which is another way to stay going around curves, you can shift your weight onto either your heel or your toe, and use that body part to direct the board. Crouching while leaning your weight into a curve will increase your speed. Keep your eyes on the direction you’re going, not at your feet. Your board will go where your eyes are looking. Remember that turning or carving slows you down, so either plan to push off right before you go into a turn, or wait till you’ve got some speed built up to practice this technique. A longboard. Be sure to consider what you want to do with it primarily, and choose the board that suits your plans. Flat-bottomed shoes. Don’t wear flip flops when you longboard, no matter how many surfers you’ve seen going to and from the beach like this. Your feet will thank you. A good helmet. Longboarding typically involves speed, so a good safety helmet is a must. Be sure the helmet fits you properly for the best protection. That’s typically all you have to have. You may choose to wear knee pads and elbow pads as well, which is never a bad idea – but these are not as essential as a helmet. 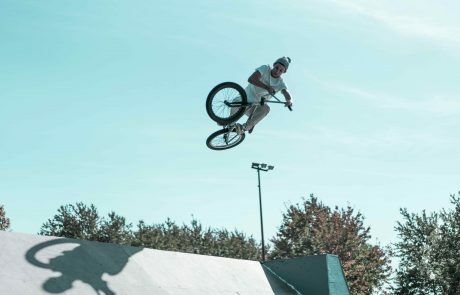 Remember that because you’ll typically be travelling over common public roads, rather than riding around a skate park specifically built for boarding, you’ll have to deal with things like potholes, loose gravel, bumps, and obstacles. Don’t skimp on the helmet, because every longboarder will fall at least a few times. Now that you’ve mastered the basics, you can start learning some other cool things, like sliding and freeriding. Check out some videos or find some more experienced longboarders to ride with. Keep practicing your techniques so that they become second nature, and try out new longboards. 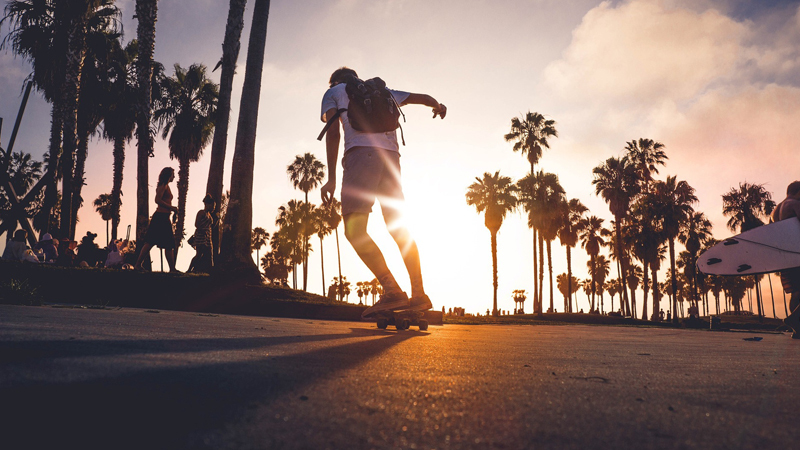 Above all, enjoy your time cruising around on your longboard! 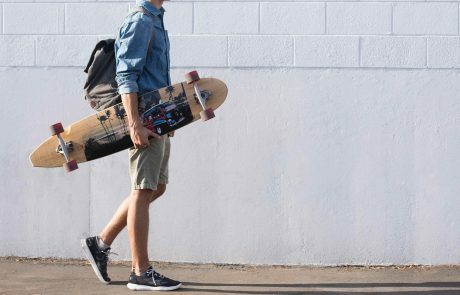 Longboard vs. Skateboard: Which is Right for You?